Discussion in 'Indian Military Doctrine' started by ni8mare, Feb 13, 2017. Sancho, Luttapi, SR-91 and 9 others like this. Sancho, SR-91, Schwifty and 4 others like this. The altitude of QRSAM seems disappointing. While its enough to cover all helicopters and most of UAVs. Fighter Jets fly higher. A flight altitude of atleast 8-10km would have been very good. SR-91 and Schwifty like this. Akash has a different role. That's why a QR SAM project is being done. Akash under its primary objective provides protection to Air Bases, Important Head Quarters, Weapon Storage centers, Forward Bases and important modes of communication or transport infrastructure. Its more of a defensive approach system. 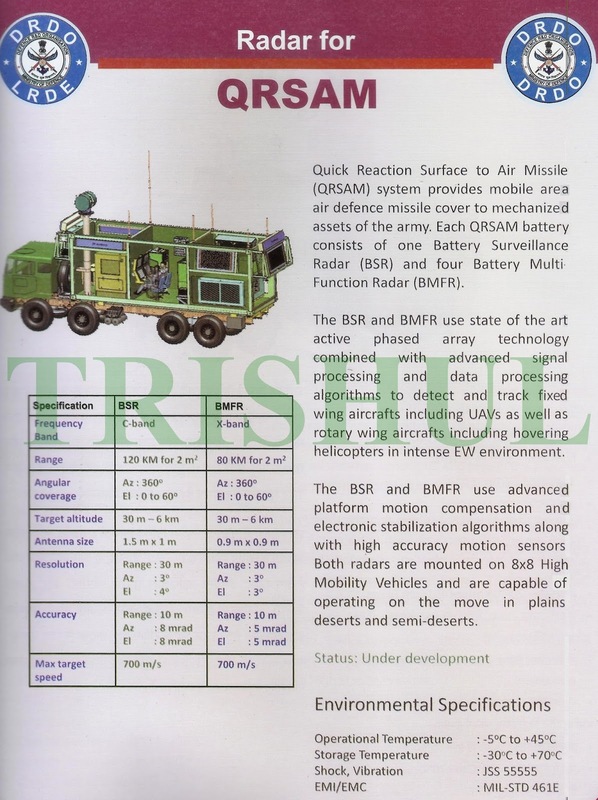 While QRSAM is totally different , its meant to be mobile and provide protection primarily to moving Army Formations in a war. Or to provide protection to a particular infrastructure which gains importance while war is on. It can go there and quickly set up the defence system. Both Systems are not meant to coordinate with each other. So Akash won't come handy where a QR SAM lags. PS: The MBDA proposal for QR SAM JV had 12 km as the maximum engagement altitude. And most Aircraft don't fly more high with a war weapons load , thus providing full proof solution. IndianHulk, SR-91, AbRaj and 3 others like this. Exactly. May be they are not disclosing the actual range. If not then I don't understand how the range of VL Astra could be so less!!!! Here I presume the missile is Astra. SR-91 and Ankit Kumar 001 like this. AbRaj and Ankit Kumar 001 like this. But these days the fighters can drop PGMs from around 60-100 km away. How do we deal with them. They can be painted and tracked but with what can they be hit at such range? How to defend against such PGMs which have been released? This is not Astra, separate project. Army RFI don't ask for more, then what is the point of comparing with MICA VL. Ok I agree to you both. Still I would want its envelop to be expanded a bit to upto ~8km or say around ~24-25000 feet where fighter jets flying in support of ground troop fly. It's primarily to be deployed against attack helicopter and incoming projectiles is what I could perceive it to be if the missile is not Astra. But the missile itself is in question. What is it if not Astra? Any Idea, What the RCS of loaded F-16 in A2G configuration (with and without Drop Tanks) in the C and X bands is...!? What is the current Battlefield Mobile Air defence system we use !? It is for point defense and not area. This is a mobility troop defense solution. Most fighter are around around 50k feet or around 15 km as an altitude limit. They show up on the radar as a big flag. That is going to be a dogfight situation. Thats why air support is required. To ALOQUIK : QR-SAM is for low-level air-defence. That's why it is referred to as quick-reaction. For targets flying at high altitudes, quick reaction is not called form since there's plenty of time available to select & warm-up the SAM Battery. The Indian Air Force will in the next few weeks finish weaving a security web with the Israeli SPYDER air defence missile system on the western borders. The SPYDER (Surface-to-air PYthon and DERby) is a low-level, quick reaction missile (LLQRM). It can neutralise hostile targets up to 15 km away and at heights between 20 and 9,000 metres. The induction process was delayed by over three years. The Indian Air Force will in the next few weeks finish weaving a security web with the Israeli SPYDER air defence missile system on the western borders in a bid to strengthen its preparedness to strike down any aerial threat from Pakistan. The induction process was delayed by over three years due to the nonavailability of Czech-made Tatra trucks on which the missiles were to be carried. "The SPYDER missile system is already in the process of deployment along the western borders where it will help in tackling any aircraft, cruise missile, surveillance plane or drone that tries to violate our airspace," senior defence sources told MAIL TODAY. The SPYDER (Surface-to-air PYthon and DERby) is a low-level, quick reaction missile (LLQRM) to neutralise hostile targets up to 15 km away and at heights between 20 and 9,000 metres. The Python-5 is currently the most capable air-to-air missile (AAM) in Israel's inventory, while the Derby is an active radar homing AAM that provides the SPYDER missile system with a fireand-forget option. "The IAF will use the SPYDER along with the made-in-India Akash surface-to-air missile which has a little longer effective range of 25 km as part of a layered approach to defend vital assets and locations in the country," the sources stated. The SPYDER deal was completed by the IAF with Rafael and Israeli Aircraft Industries (IAI) in 2008 and supplies were to begin in three to four years. But the process got delayed due to the unavailability of the Tatra trucks, which got mired in a controversy over bribery allegations. "Due to the lack of heavy specialised trucks, changes had to be made in the contract with the vendors and a made-in-India truck has been used for carrying the SPYDER system, which has been tested extensively resulting in delays," the sources said. Both the SPYDER and Akash are all-weather missiles and the process to seek and engage an aggressive aircraft or missile is automatic. Besides aircraft and UAVs, they can also neutralise lowlevel cruise missiles. 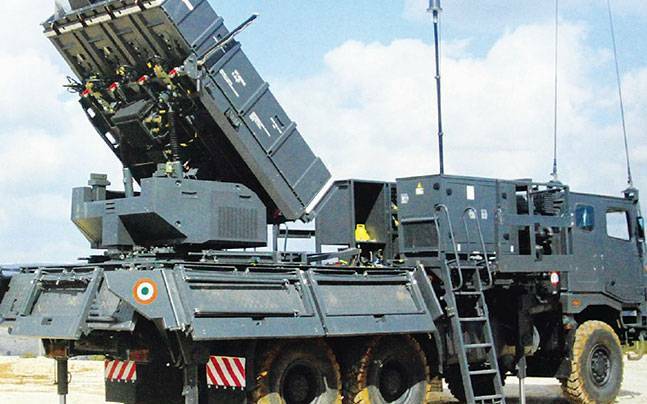 The IAF has taken a slew of measures to strengthen its air defence capabilities in the recent past as it is also going to deploy another air defence system called the Medium Range Surface to Air Missile (MRSAM) system from Israel, which can strike down targets at 50-70km. The force would receive a major boost when it starts getting the S-400 air defence missile system from Russia, which can take out targets at 400 km and can be very effective against enemy AWACS (Airborne Warning And Control System) and cruise missiles at great distances. kiduva21, IndiranChandiran and Inactive like this.